Tall Maternity Trousers by Mummy Long Legz! Influenced by the catwalk trend for grown up tailoring these black tall maternity trousers are made with the finest fabrics and hang beautifully. Great for the office or special occasion alike, the gentle bootcut style offers sophisticated quality. The super stretchy waistband sits just under the bump and provides gentle support whatever your stage. Perfect for wearing throughout your pregnancy and beyond. 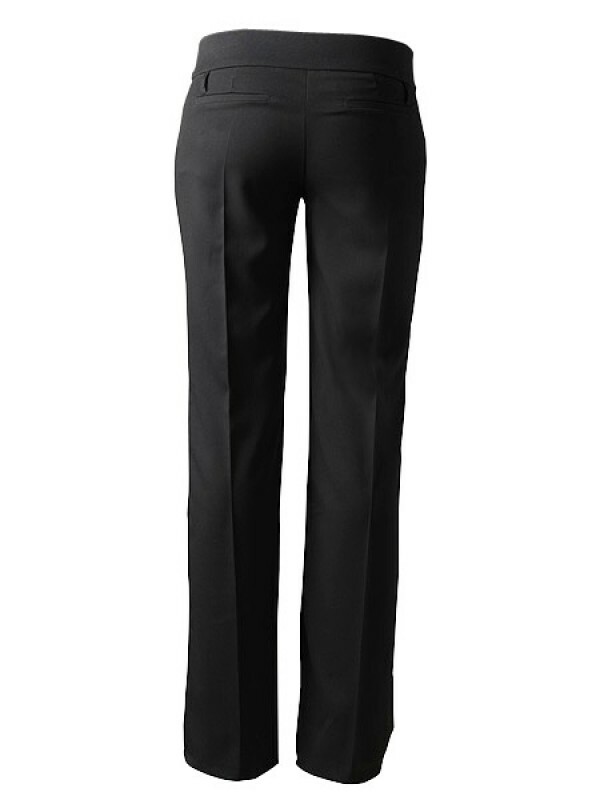 These extra long maternity trousers can be purchased as part of the Tall Maternity Capsule offering even more value for money.